Okay so I'm on holiday in Japan so I really can't be bothered writing about most press released, but this was was just too flipping surreal to ignore. PETA, the delightfully militant animal welfare advocacy group, has issued a statement that GIANTS, the developer behind the weirdly popular Farming Simulator 17, should include pig slaughter as a feature in the game. "To give players an accurate depiction of the industry, the game will need to show that pigs are killed by being hung upside down, stabbed, and dropped into scalding-hot water," the press release states, and I can honestly say I never thought I would get such an utterly dumb thing sent my way in the form of a press release that someone paid a PR company to pen. But to take it seriously for a moment; look, on one level PETA is right. People absolutely should know where their meat comes from, and have an understanding of the slaughtering program. I actually think that teen kids should be taken to an abattoir and witness this process themselves, and if they then decide to forgo meat, then great. If they decide to continue eating meat (as humans are biologically designed to do), then they do so with a better respect for what they are consuming, and would hopefully then insist on ethical farming. But Farming Simulator isn't a slaughter simulation. It's a straight, dry, representation of the farming process at work, and is focused mostly on driving trucks around to cart produce from the farm to the processing plants. This isn't a simulation of the processing plant. What PETA is doing here is like demanding that Sim City include homeless people to remind us all how badly a number of our people are let down by the system. Which, again, would be missing the point of the game. Of course, we all know that PETA is really just interested in getting attention, and that's all this press release was meant to achieve. And I did write about it, so mission accomplished there, I guess. Congratulations to all the idiots at PETA. 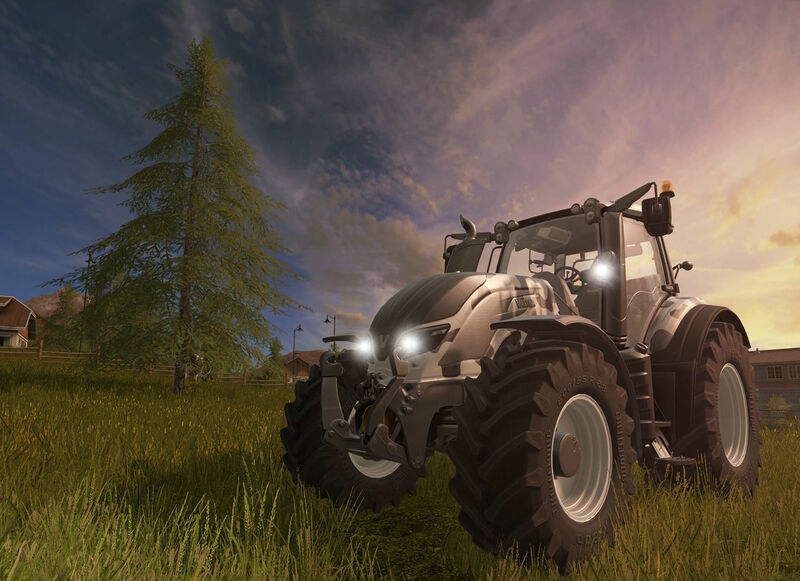 Sydney – Following the announcement that the video game Farming Simulator 17 will include pig farming, PETA UK sent a letter to Christian Ammann, managing director of Switzerland-based GIANTS Software GmbH, asking that video footage from abattoirs be included. The letter points out that to give players an accurate depiction of the industry, the game will need to show that pigs are killed by being hung upside down, stabbed, and dropped into scalding-hot water. "Farming Simulator 17 should either show the nightmarish reality endured by pigs at the abattoir or change into Vegan Farming Simulator 17 and let players grow crops – to do anything else would be dishonest", says PETA UK’s European Outreach Liaison Harriet Barclay. "We urge anyone who considers pig-slaughter footage too gruesome to include in a simulator game to rid their real-life plates of animal corpses and switch to cruelty-free vegan foods." PETA UK – whose motto reads, in part, that "animals are not ours to eat" – has documented repeatedly that on factory farms, mother pigs are forcibly impregnated over and over again and confined to farrowing crates so small that they can't even turn around. Each litter is torn away from the mother after only a few weeks, and the piglets' teeth are clipped or ground down and their tails cut off without painkillers. At the abattoir, pigs are hung upside down prior to being killed. Workers are in such a hurry that they often fail to stun them adequately, which allows them to wake up while still bleeding to death and being plunged into boiling water. PETA UK's letter to GIANTS Software Managing Director Christian Ammann is available here. For more information on the cruelty of factory farming, please visit XXXX (I'm not actually giving PETA the free link. Far too unethical organisation for that - ed).